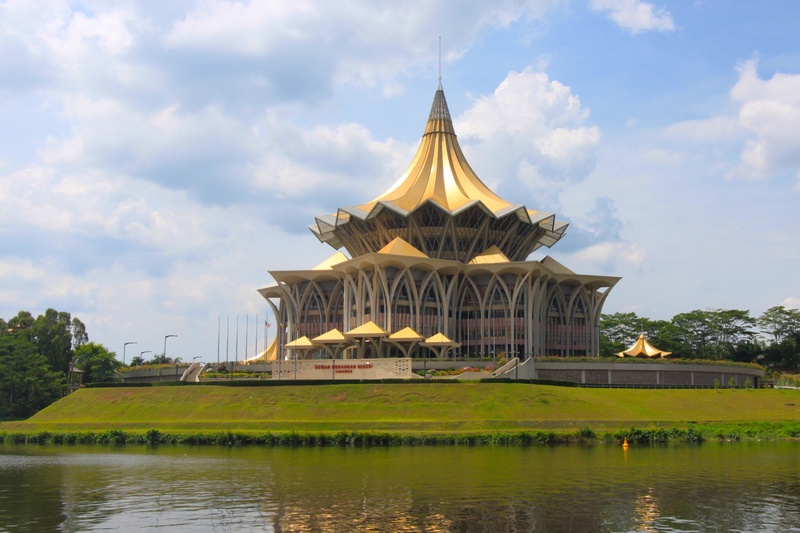 I had a terribly early start on my trip to Kuching, the capital of Sarawak, one of the two states of Malaysian Borneo. 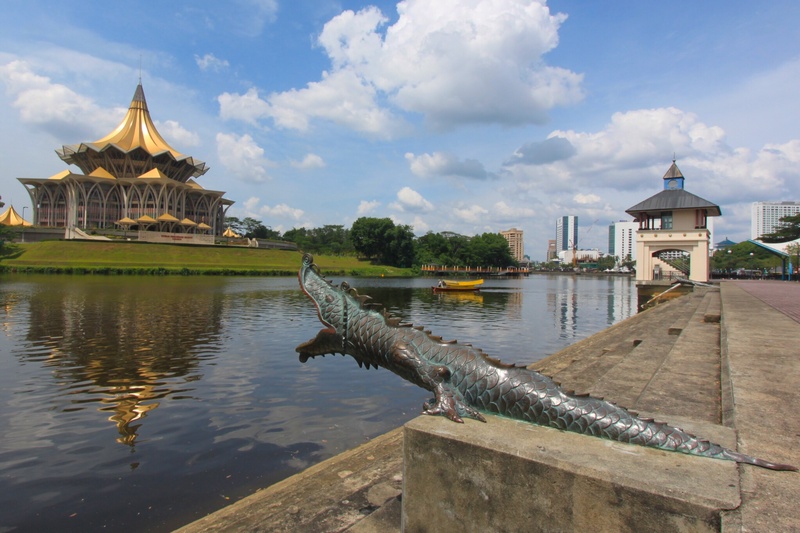 My flight left Darwin at 5 am and despite flying via Kuala Lumpur, I arrived in Kuching at midday, thanks in part to the time difference. I was met by a guide, Panch, who gave me a brief tour to orientate myself in the small city before dropping me at my hotel. My room was vast, and very nice, if a little noisy as it had a balcony overlooking the lobby. After my early start, I had a rest and then set out to explore. The first thing to hit me was the heat. 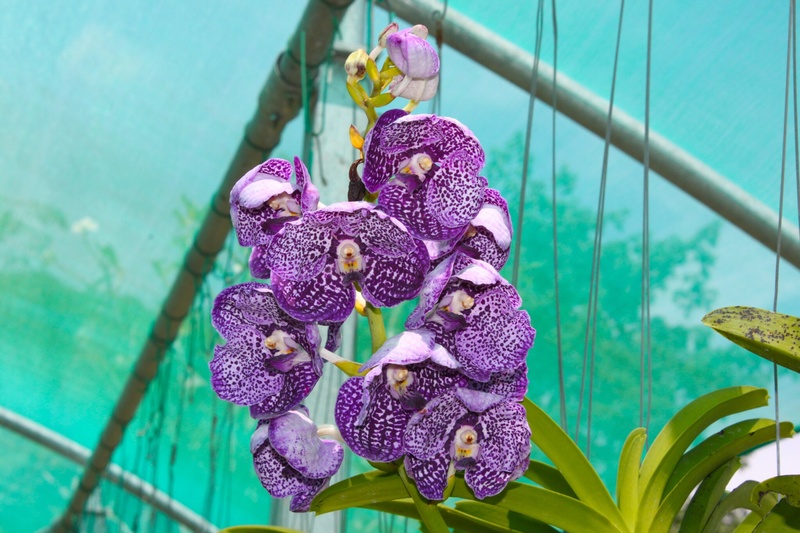 Imagine wrapping yourself in your warmest duvet and then stepping into a sauna set to the hottest and dampest of settings, and you will get an idea of the Borneo heat and humidity. I walked along the riverfront looking for a bank, which I found. However, just walking about half a mile in that heat made me feel drained and exhausted, especially since I had had so little sleep, and I soon retreated to the air conditioned hotel. I contemplated doing a cruise along the river in the evening, but decided to do that the following day when I was feeling more perky. The following day I had an expedition to Bako National Park, which was fantastic and which I will cover in a separate post. Once I got back to Kuching, I had time for a quick shower before the 5.30 river cruise. As I walked through the lobby of the hotel, I heard a huge rumble of thunder, and the heavens opened before I reached the door. The river cruise would have to wait for another day. Once it stopped raining about two hours later, I decided to try to find some of the restaurants recommended in my guide book, which are all close together, and pick one for dinner. Much to my frustration, I could not find them, even though I was sure I was in the right place. I retreated to the hotel for an uninspiring meal. The next morning my guide collected me for a trip to the Semmengoh orang-utan sanctuary. It is no longer a rehabilitation centre, but is a sanctuary for semi-wild rescued orang-utans. As the area hosts more orang-utans than would be found in an area that size in the wild, their diet is supplemented through twice daily feelings which are open to the public. After a detailed briefing from the ranger, including detailed instructions on what would upset Ritchie, the large male, we set off to the viewing platforms by the feeding station. We were told to remain silent, and had been told that if Ritchie appeared we should not use long lenses, tripods, umbrellas or anything which might look like a gun, as he had never forgotten the fate of his mother. Also, he hated the sound of crying children. In fact, the ranger recommended, if we saw Ritchie we should probably just run. In silence we waited at the platform, but no apes came. It is the fruiting season, and they are getting all they need in the wild. Although it is great that the rehabilitation is working so well, it was sad not to see any, but I was hopeful that in other places in Borneo I was yet to visit I would see some. I was particularly sorry not to see the fearsome Ritchie, since he shares a name with my big brother, a big ape very dear to me! On the way back to my hotel, Panch showed me the restaurants I had been unable to find the night before. They were right where I had looked, but were closed on a Monday, which is why I had not been able to find them, as all closed up there is not much to show for them. After the long drive back to the city (there was a lot of traffic) I had lunch by the river before setting off to the ethnology museum. Although just a short walk from my hotel, it was quite an effort in the heat. 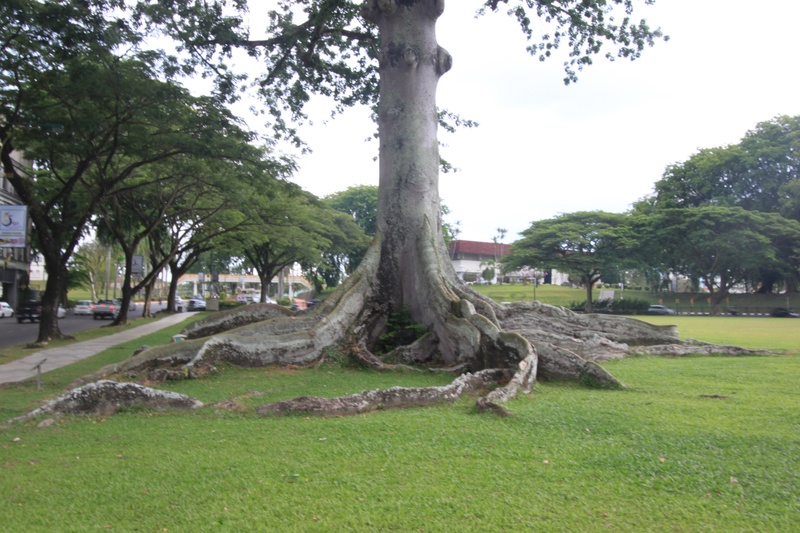 I passed the square which contains a huge tree, the buttress of which spreads for about fifteen metres. Men were hanging green and yellow decorations from the lamp posts. Hello, they said, welcome to Sandakan! I was later to learn that these decorations were for Eid, or, as it is known in Malaysia, Hari Raya Aidalfitri, and they were based on woven parcels of palm containing glutinous rice which are typically served at the end of Ramadan. I cannot imagine not having water all day in this heat. I have to admire the devotion. The museum is quite interesting, and is free. I wandered into the first section on the ground floor, which was a miscellaneous collection of old machines with no explanation of their origin or purpose. I went to examine one ancient looking machine more closely only to discover it was throwing out cold air. Despite being merely the air conditioning, I stood in front of it for a few blissful moments before seeing what else was on offer. The rest of the ground floor is a natural history museum and houses the 100 year old collection of mammals and birds collected by Alfred Wallace, a colleague of Darwin’s, who was invited to Sarawak by James Brooke. The explanatory notes are small and quite hard to read in the museum’s gloom, but it was quite interesting nonetheless. The shell collections are also interesting, showing how a nautilus crafts its shell and how buttons are made from shells. There is also a little section on the capture of a man-eating crocodile, featuring a huge hairball removed from his stomach and a set of dentures found attached to the hairball. If that does not put you off swimming in Sarawak’s muddy rivers, nothing will. However, the upstairs is the most interesting part of the museum. It contains a model of a longhouse as well as explanations of the contents. Probably the most gruesomely fascinating are the skulls tied to the ceiling. Head hunters would collect the heads of their enemies. In the house, the spirits of the dead would protect their skulls, protecting the home with it. Young men wishing to marry would have to cut off the head of an enemy of the father of their intended to prove their worth. Although fresh heads are no longer collected, long houses are still decorated with old skulls. I had a quick look at the art museum, which contains a collection of modern paintings. Most interesting are the longhouse carvings housed in the lower section of the museum. I then headed back for my river cruise, but once again the heavens opened at 5 pm, so once again I failed to join the cruise. That evening I found the restaurants I had failed to locate the night before. My guide had recommended Junk, so I went in there. To my surprise its main offering was pizza, but after two days of eating rice and vegetables, I confess a pizza sounded and tasted great. 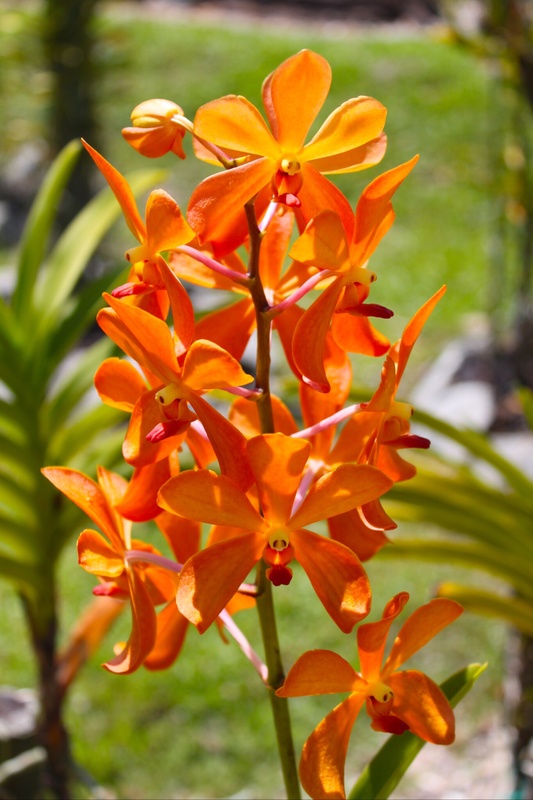 The following morning I headed to the river with the aim of getting a ferry across to the other side of the river to see the orchid garden. I asked an English man if I was at the right spot for the ferry, and he told me he and his family were heading there too. 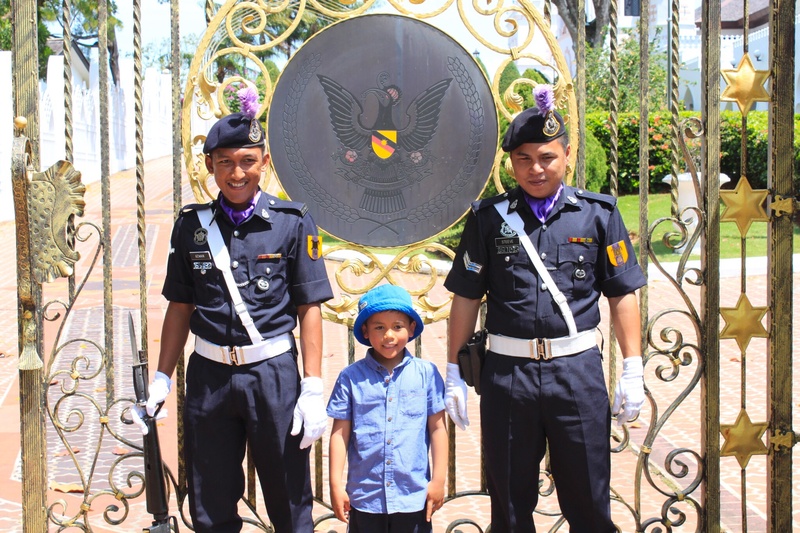 I joined him, his wife Liz, who was originally from Borneo, her mother and their young son Matthew. They had also gathered up Ellen, a young Dutch traveller. The river crossing was 50 sens (about 10p) and they kindly treated us all. 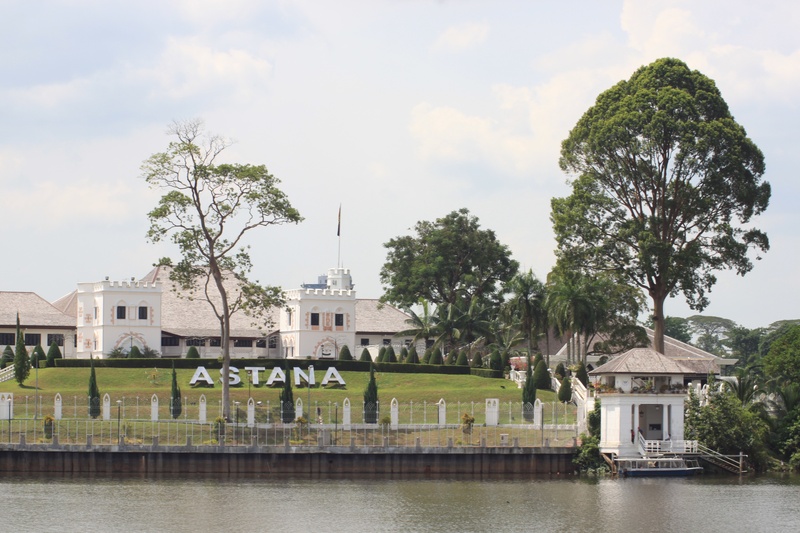 We stopped at the Astana, the palace built by James Brooke, who was the Rajah of Sarawak. 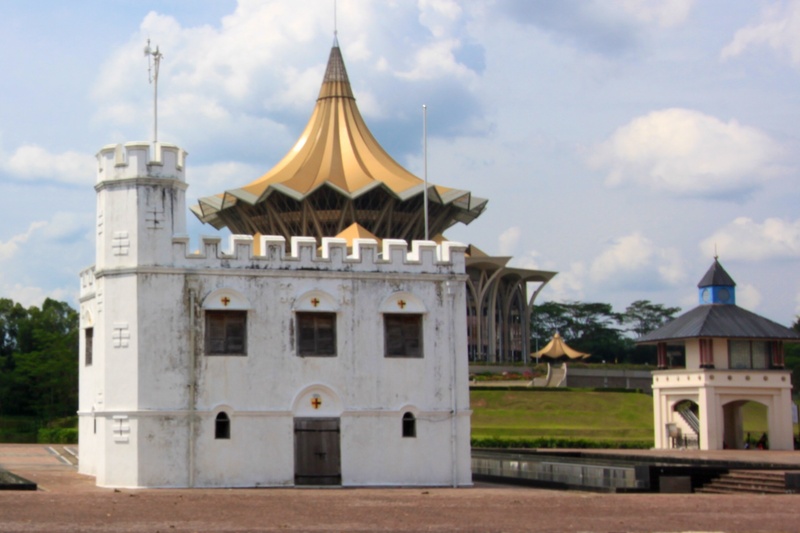 He was given this title by the Sultan of Brunei for his part in suppressing an Iban rebellion, and ruled it until his death. The guards told us we could not go in, but were happy to pose for a photo with Matthew. They even got out their gun to make the photo more official! 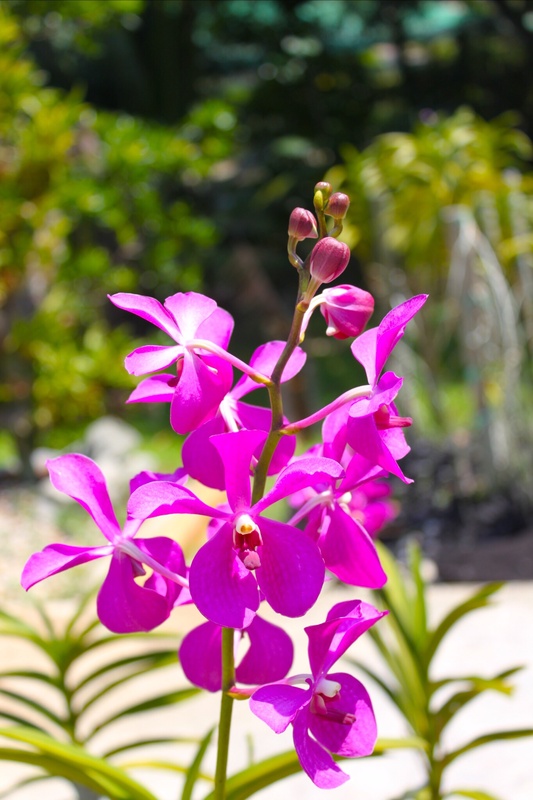 The orchid garden was lovely, although we did not see it in its full glory as not all of the orchids were in bloom. There were enough to admire, though, and make it worth the trip, especially since admission is free. While we were there the temperature soared, so we had a cold drink before getting the ferry back. There was just time for a quick lunch before meeting my guide for my afternoon excursion. Ellen asked if she could join me, but rejected the cafe next to my hotel as insufficiently authentic. I tried to warn her we would struggle to find local food I could eat as I am a vegetarian, but she would not be deterred. We used up my lunch slot looking for such a place without success and arranged to try again at dinner time. 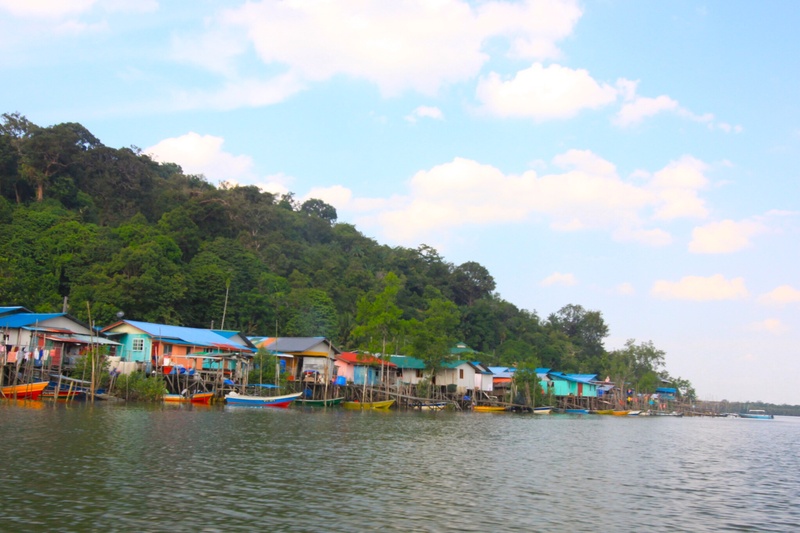 The afternoon excursion was to the Santubong river. After more than an hour’s drive to the boat club, I boarded the small boat with my guide and our driver and headed off down the river. 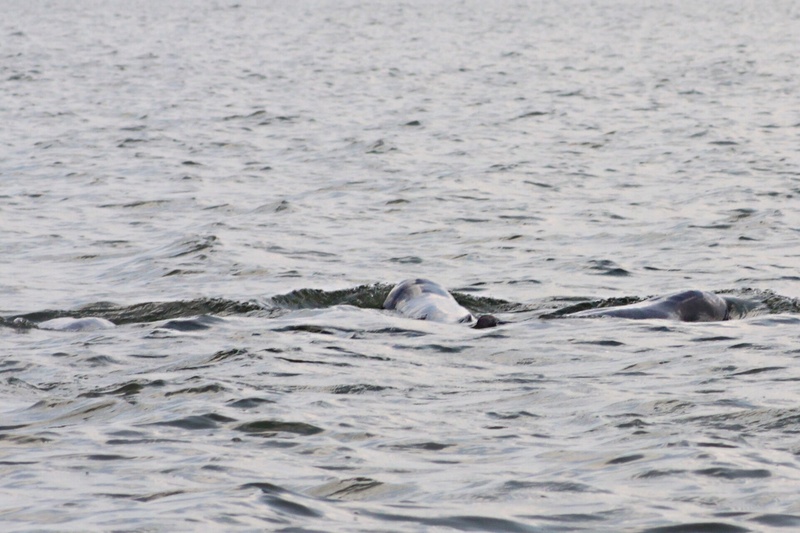 Once at the river mouth, we cruised around looking for Irrawaddy river dolphins. Just as I was sure that I was to be disappointed, I spotted a dorsal fin. A small group swam busily about. They were hard to follow, as it was impossible to predict where they would surface next. We focused on listening for their sharp exhalations as they emerged for air, and at one stage they surfaced right in front of us, but of course had gone under again before I could snap a picture. My best shot is of one doing its best whale breach impression! After about five minutes they had disappeared. After that, we headed to a small and colourful village on the river’s edge. 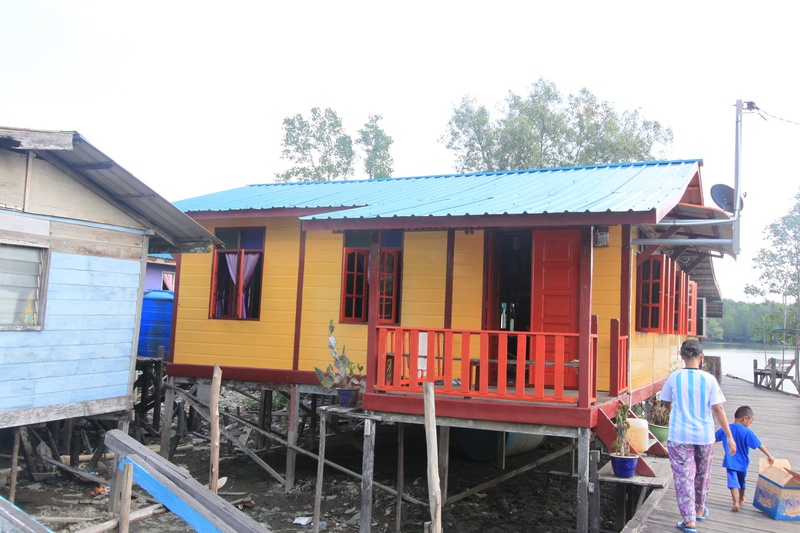 The locals are fishermen, and the brightly painted houses show them to be Muslim. They were busily decorating the outside of their homes for Eid. 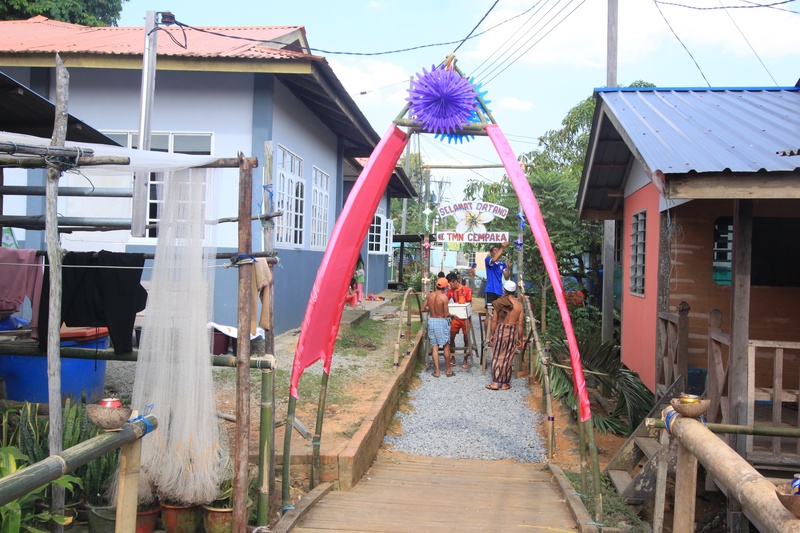 The headman had offered a prize for the best decorated house and they were hard at work. Bamboo railings had slots carved in them for simple candles made by filling a piece of bamboo with kerosene, inserting a wick and covering the top with the top of a soft drink can. There were also some more ambitious ones set on coconut shells. They also had lots of the woven leaf parcels for glutinous rice hanging as decorations, so I could see where the green and yellow decorations I had seen in the city the previous day originated. Two little boys aged about four and five came to show us their toys, talking Iron Man style action figures. The little one explained that there was a little man inside doing the talking. The older one used his as a mobile phone. I did not take pictures of them as I did not want to do so without their parents’ permission, but they were very sweet, and waved us off shouting bye bye, presumably their only word of English. We then had a short trip up a mangrove-lined tributary looking for crocodiles. After all the ones I saw in Australia, I was more interested in the stork-billed kingfisher I saw in a flash of bright colours, but which flew off before I could take a picture. Time was up and we had to head to back to Kuching. After a cooling shower I met Ellen and we decided to check out Top Spot, a food court at the top of a multi-story car park. It mainly offers sea food, some so fresh it is still alive! We ordered rice and vegetables, and some prawns for Ellen. We got there just after eight but it was winding down by nine. I think the locals eat very early during Ramadan, understandably. 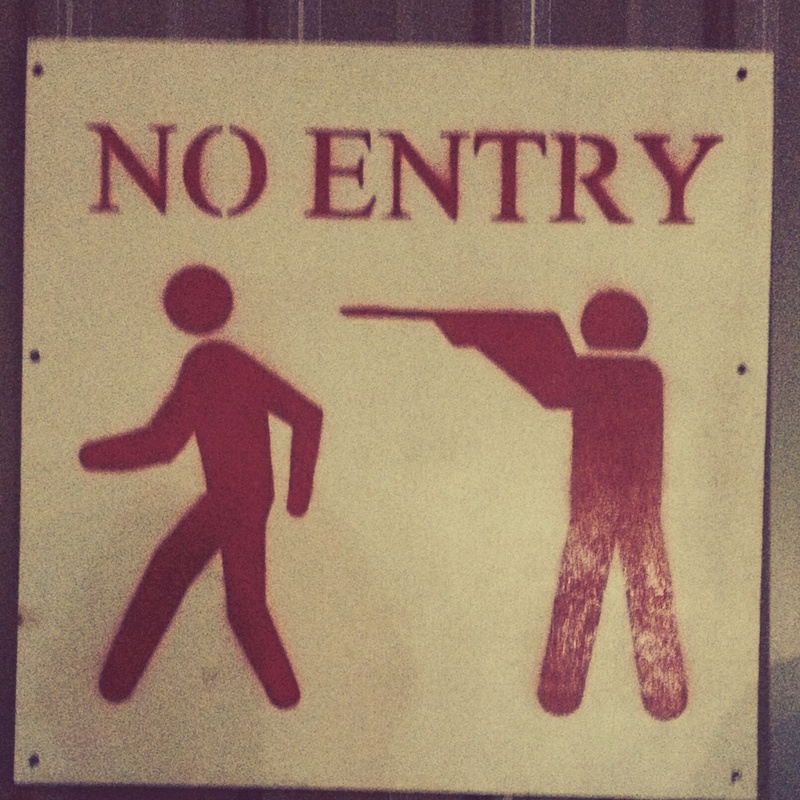 On the way back I showed Ellen my favourite sign in Kuching, a no entry sign illustrated with a drawing of someone being shot in the back of the head. Obviously they have to go to some lengths to keep people out of building sites! That was the end of my time in Kuching. Too late I realised I had not taken a single cat statue picture. 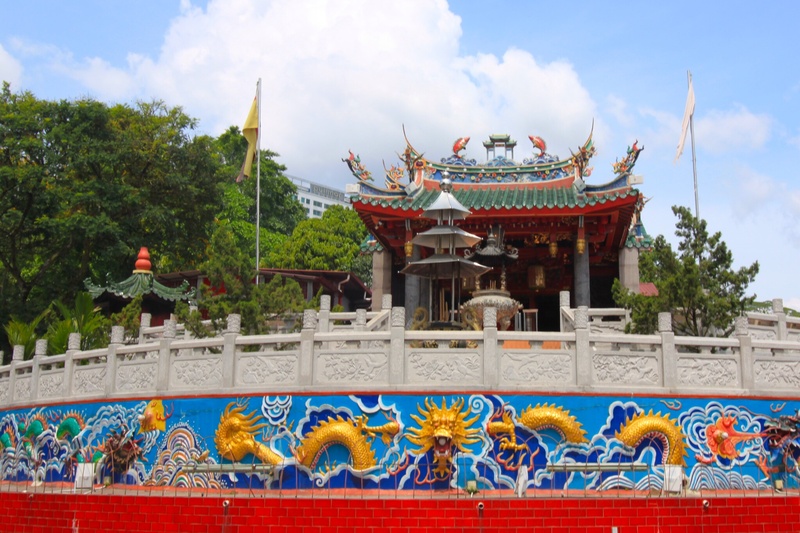 Kuching means cat, so there are a lot of large feline tributes, mostly rather garish and kitsch, so bad they are good. The following morning I was off to Kota Kinabalu, the capital of the other Malaysian Borneo state of Sabah. 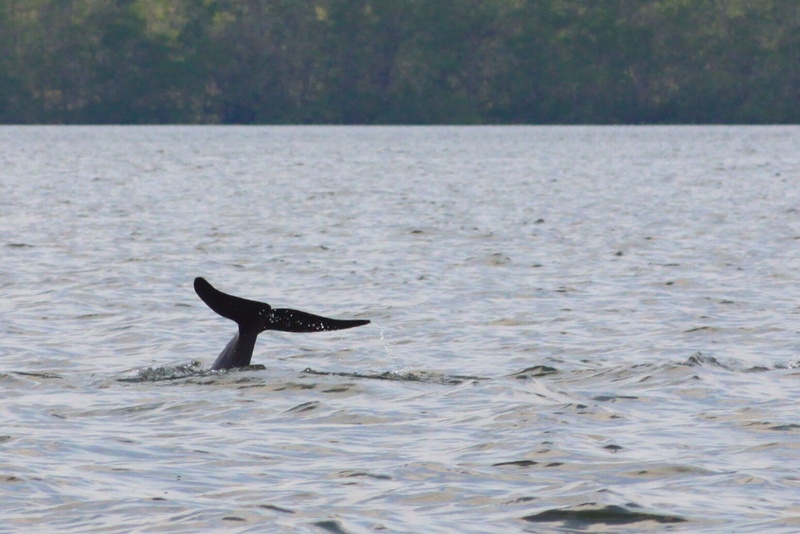 This entry was posted in Malaysian Borneo and tagged Irrawaddy dolphins, Kuching, Orchid Garden, Santubong River on 06/08/2014 by paulaclarke.